The entire process is quite simple now-a-days as the whole process for formation of a private limited company is online and it generally takes near about twenty to thirty days for the entire process for its completion. In several cities this process takes one week for its completion but in some it takes quite long for the completion of the process. How much cost one has to bear? There are three simple steps that that private limited company must follow in order to get registered. The first step towards registration of Private Limited Company is DIN NUMBER which stand for Director Identification Number for the formation of the private limited company which requires minimum two director to start a private limited company and each director has give their DIN NUMBER. · Pass port size photograph of each of the director. After these thing will be submitted than each director will allotted there DIN number. 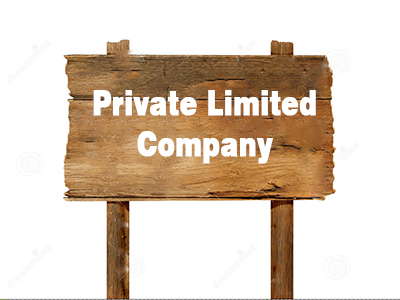 Than we can say that the first step towards the registration of private limited company is completed. For the name approval one must have to think about the name of the company before setting up of a company. The company name should be divided into two part i.e. For example:- Madam Matching Private Limited it one of the company first word “madam” is a unique name and “matching” signifies that in this company matching work of the cloths take place. · Reliance Communication Private Limited Company. Before setting up of the company one is aware of the fact that where they want to set up there company i.e. area, locality etc. thus they identify the same. So it will have the address of it which needs to be submitted. That address is that which is going to be printed on the copy of the certificate of incorporation which will serve as the company headquarters of the particular company. This address could be yours Home address, any property that you own or any rented property. In case of rented property one has to submit its rental agreement copy which would be signed at the time of acquiring that property and along with it No objection Letter from the owner of that property which clearly show that the owner has no problem with the trade you are carrying out. If the property that you have purchase than too you have to give your electricity bill of the owner of the property and no objection letter of the owner. In certain cities they ask for the property document such sale deed etc. Along with this registered address proof one has to submit two more things i.e. MoU and AoA. MoU stand for memorandum of understanding is a formal agreement between two or more parties. Companies can establish this formal relation between the directors of the company. AoA stand for a company’s articles of association is a document which, along with the memorandum of association defines the responsibilities of the directors, tells the kind of business they will continue, and the means by which the shareholders exert control over the board of directors. They basically tell the purpose for which the company has been established.